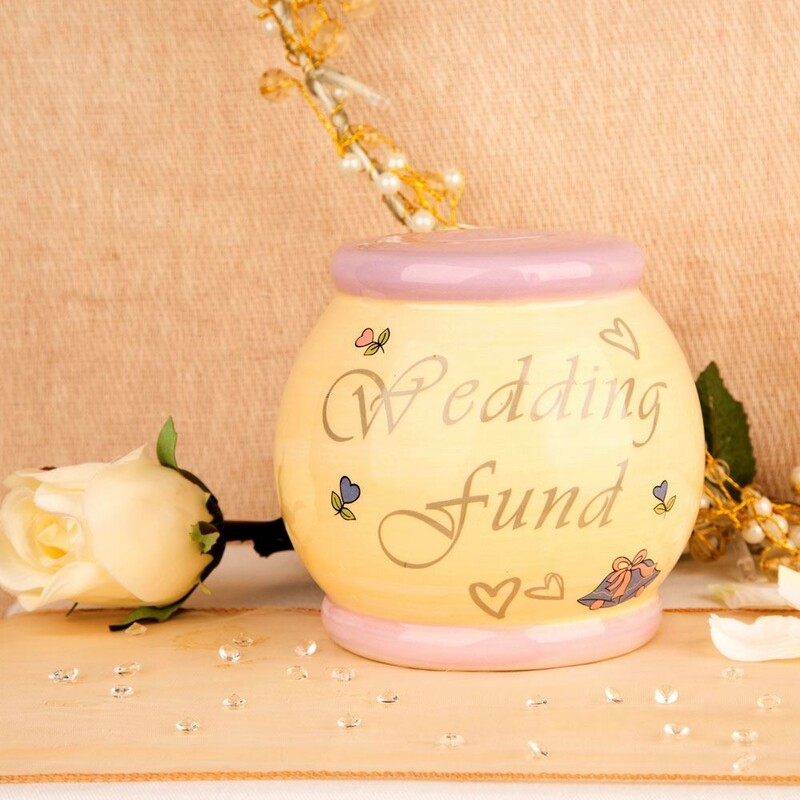 This money box is the perfect gift for a couple who have just recently got engaged and are trying to save for their wedding. It has a yellow and pink wedding design so will fit in nicely in any living room on a side table or a window ledge. 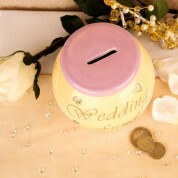 With a coin and note slot the couple can save lots for their big day. It has a rubber bung underneath to remove the savings (but no peeking or stealing the odd £1 coin). 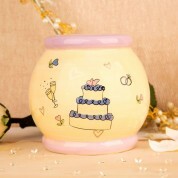 Measures: approx 12cm x 12cm.